I am very proud of myself because I learned a lot of things at EC! I arrived in Montreal without knowledge of English and today, I am leaving satisfied with myself. I don’t have a lot of worlds to express the incredible experience I had here. 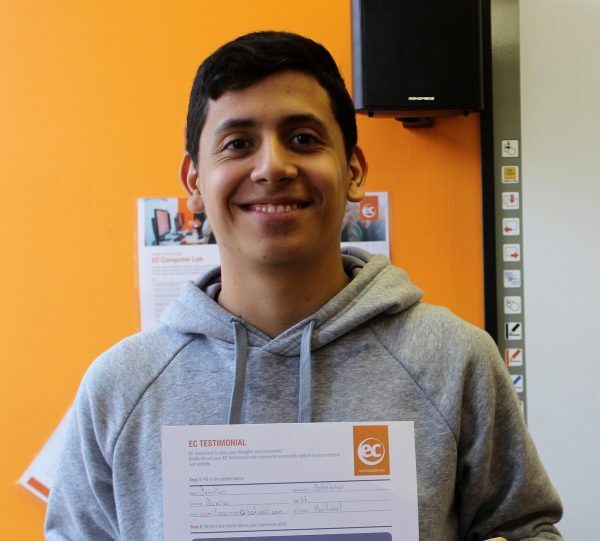 I felt very good with all the teachers and obviously I’ll recommend EC to everyone! Study at our English Montreal school !